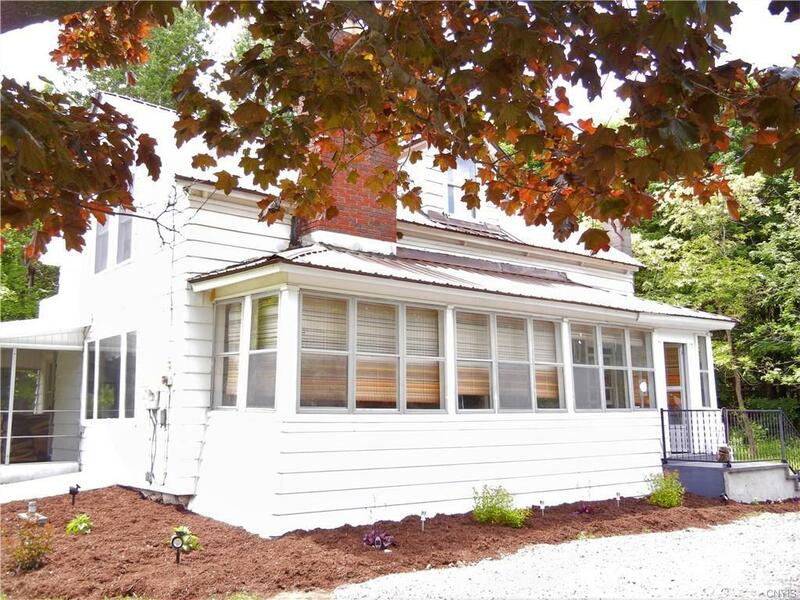 Great location, and situated on 2.25 acres, this home is in move in condition. As you enter the living room, the sprawling stone fireplace will capture your attention. The spacious living room, with large picture window, is inviting, and allows wonderful natural light. Off from the living room is a bedroom, and an archway open to the dinning room. The kitchen offers plenty of counter and cabinet space. It comes with all the appliances, including a stackable washer and dryer that are in the first floor bathroom. For all you porch lovers, this home has 3. A front enclosed porch, a side enclosed porch, and a spacious screened in porch off the dining room. Upstairs are 2 more nice size bedrooms with hardwood floors. Outside it is landscaped, and great play area for children. Call today. Directions To Property: Take Nys Route 3 East Out Of Deferiet. Go Over The Canal, The First Place On The Right.